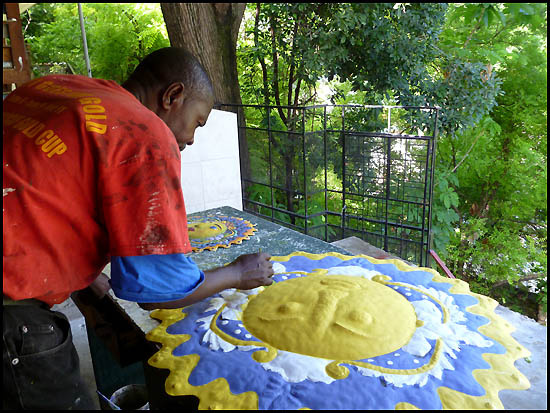 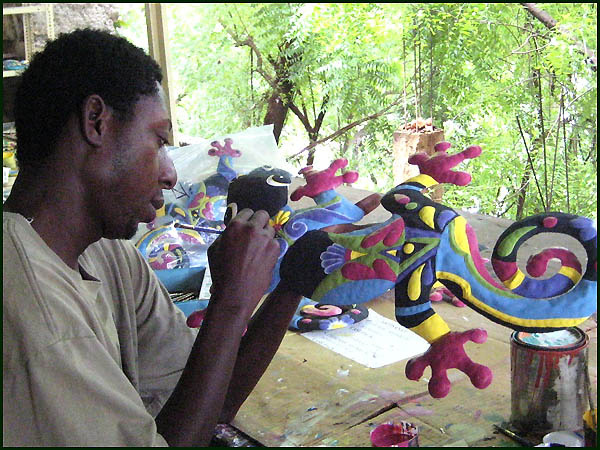 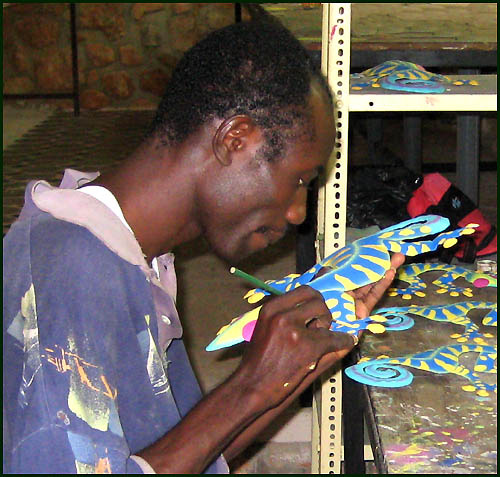 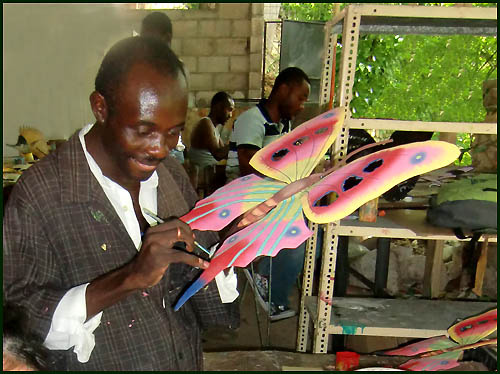 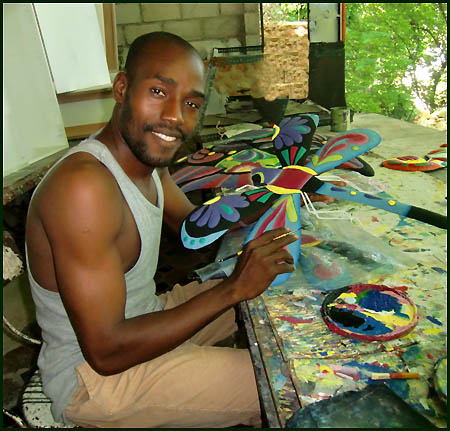 On this page, we show some photos of our Haitian artists working to provide you with a colorful addition to your home decor. 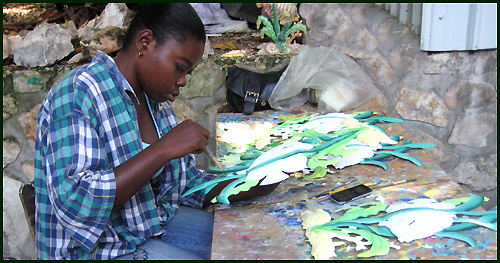 All of our painting is done in a refreshing open air workshop in Port au Prince, Haiti. 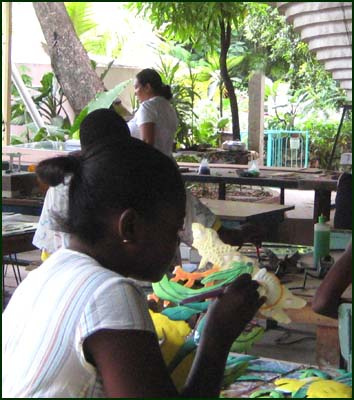 It is a covered area, but open on the sides to the surrounding trees and fresh air. 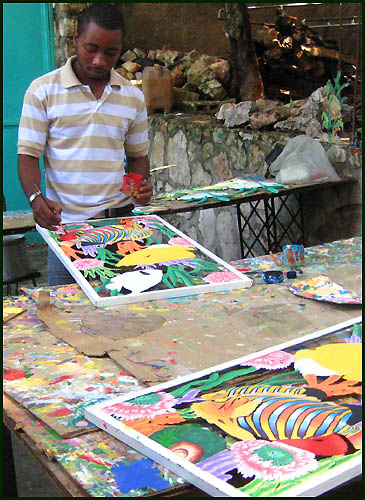 Really a very pleasant working environment. 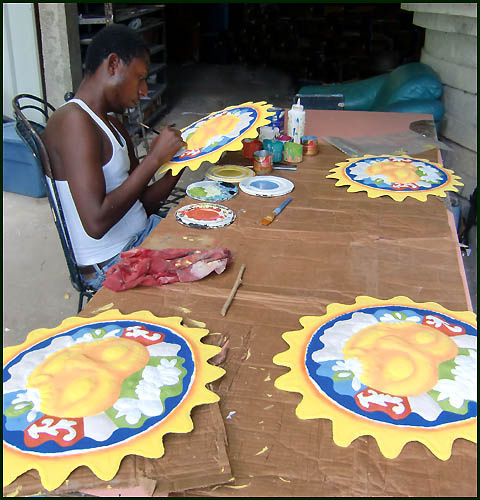 Click for photos of the process of cutting the steel drums for our metal art.